As it discusses next steps, Europe must recognize that “the US leads” approach to resolving the conflict is doomed to never-ending failure: It affords time for the Israeli settlement enterprise to further entrench itself and makes the two-state solution increasingly impossible to achieve. It is blindingly clear - in light of two decades of failed bilateral negotiations under American auspices - that US leadership of conflict resolution efforts is pointless and counter-productive. If Europe’s policy is to achieve two states for two peoples, it will have to pursue an independent policy position that circumvents the Americans. Moreover, the substance of European policy will have to be more consequential than policy changes to the EU Guidelines for participation in the Horizon 2020 program that exclude settlements, or requiring that Israeli settlement products be labeled while allowing their trade to continue. If Europe’s influence in this conflict arena is negligible, it is because Europe has relied on the wrong leadership for too long. This tragic, historic mistake has not only cost European taxpayers billions, but has also led to a reality that is the diametric opposite of what European policy-makers intended. After 23 years, reliance on American “leadership” has led to the creation of numerous Palestinian Bantustans, surrounded by an occupying military power that continues to occupy with impunity, bankrolled by European taxpayers: The EU and its member states are by far the largest donors to the Palestinians. 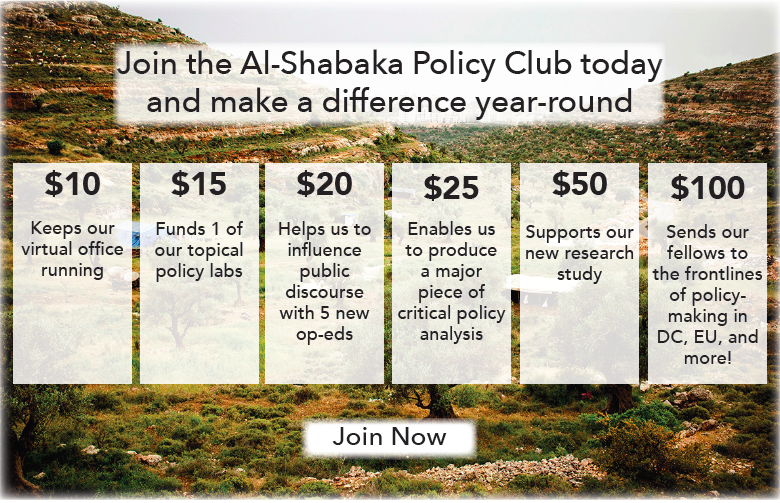 Israel – delighted that another party is willing to subsidize its military occupation - continues to expand and consolidate its settlement enterprise, with the support of large sections of the American public. Historically, the US and EU have shared a common objective of resolving the Israeli-Palestinian conflict through the framework of a two-state solution. However, after the repeated failure of US mediation efforts, and, more recently, the resignation of the UN Special Rapporteur on human rights in the Occupied Territories, a perverse reality continues to dictate that there is no peace - and no traction towards peace - any time in the near future, or possibly even within our lifetimes. America supports occupation. 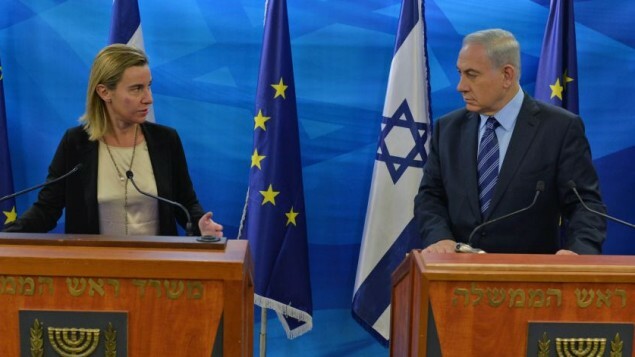 Europe inadvertently subsidizes occupation. This regrettable logic is an accurate description of current reality. The US continues to advocate a hands-off, “it’s up to the two parties to decide” approach. As a result, Israel, which has all the power, has little incentive to concede, while the Palestinians, who have no power and are supposedly “protected” under international law are left to their despair. While commentators have busied themselves picking at the rotting carcass of the so-called peace process and apportioning blame for its failure, few have dared to state the obvious: America is part of the problem, not the solution. Israeli intransigence and blatant violation of international law is fueled by its belief that, no matter what its does, the US will always insulate it from meaningful rebuke. Palestinian desperation is driven by a conviction that America’s overwhelming support to Israel makes negotiations pointless, as Israel has little incentive to concede when showered with so much money, weapons and political support. To take but one example, in February 2011, the Obama administration vetoed a UN resolution declaring Israeli settlements illegal, despite the fact that 130 countries co-sponsored the resolution and it was supported by all other 14 members of the Security Council. Later that year, in May 2011, the US Congress gave Prime Minister Netanyahu 29 standing ovations as he publicly dismissed President Obama’s position that the 1967 borders should be the basis for a final territorial settlement. By contrast, Europeans have moved towards recognition of the State of Palestine. Sweden and the Vatican’s recognition are now official while parliaments in the United Kingdom, Ireland, Spain, France, Luxembourg, along with the European Parliament, have all approved recognition. In summary, the US gives staunch support for Israel, while the EU tries to clean up the chaos inspired by Israeli excesses and US hypocrisy ad infinitum. Monday’s meeting is an opportunity to examine what the EU can do to change this reality. It is time for Europe to roll up its sleeves, play power politics, and take on the occupier, without waiting for American leadership to produce results. If the experiences of Bosnia, Kosovo, East Timor and South Africa are anything to go by, an occupier or an apartheid regime will only change its ways with a nuanced combination of sanctions, international isolation and, as a last resort, military force. The EU must rise to the occasion and demonstrate to its constituents that European money and credibility are more important than indulging in American charades of impartiality. It is clear that America has no moral or political qualms with Israel remaining an occupying force. Once Europe finally acknowledges this reality and moves on, it will find the strength and legitimacy to propose policies of its own, in line with its European neighborhood objectives, its own moral standards, and its own laws.